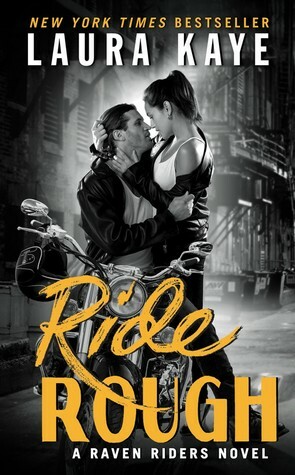 RIDE ROUGH embodies all that is raw, beautiful and sometimes painful about love: passion, emotion, vulnerability. It was both fun and sometimes hard to read because of the domestic violence angle, but for the most part I loved it. The chemistry between these two characters was electric and their feelings for each other powerful enough to overcome any obstacles or issues. Alexa Harmon turned her back on the only family she had and walked away from the man she loved when her brother died and has since tried to build a better life for herself. Now she has everything she ever wanted – a good job, a wealthy and powerful fiancé and a beautiful home. Or does she? Alexa is slowly realizing that all those trappings of success conceal something very ugly that she needs to escape and only one person is ever ready to help her: the man whose heart she broke. Maverick Rylan didn’t fight hard to keep the only woman who owns his heart but it doesn’t mean he hasn’t been keeping an eye on her and when she needs help escaping her abusive fiancé, he’s more than willing to help. And maybe get another chance to fight for her and show her what a good man looks like. Maverick ran away with the show on this one! He was a really great and caring guy and also very perceptive as his handling of Alexa shows. He didn’t crowd her or take over but supported her decisions and gave her a nudge when she was waffling on what she wanted. Alexa however, I was not really a fan of, at least in the beginning. She came across as grasping and something of an opportunist, willing to turn a blind eye to character flaws in exchange for material comfort. While I admire her for getting out when she did, standing up to her ex and owning up to her missteps with Maverick, my initial impression stayed with me for the entire story and affected my feelings towards her, especially when Maverick’s selfless concern for her was compared to her ex’s controlling behavior as well as her reasons for breaking up with him. Walking away from a good guy who loves you because of the outward appearances is a stupid decision! I have a very short list of authors whose biker romances are a must read for me and Ms. Kaye is on it. Her twist on the MC sub-genre is one I loved from the first book and still do. I love all the details that went into laying the foundation for Maverick and Alexa’s story. I also love how the club and its activities were a central part of this story, even if mostly in the background. If you are looking for an MC story that mostly departs from the norm, this is the perfect book to start with.